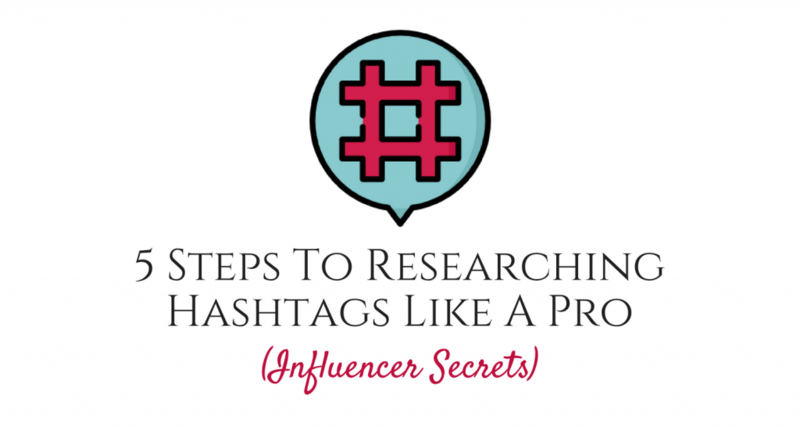 You’ve probably heard a million people bash around the term “hashtag research”. Like me, you probably listened, nodded, thought it must be pretty easy, then sat down at your computer or device, wondering where to even start. Over the years, I’ve read a heap of resources and tested a tonne of techniques. The following is list of hashtag research tools and techniques I use on my own business account to gain 100 followers a day. So, open a new Excel sheet, Trello board or page in your favourite notebook – this will be your “HashDoc”. Start noting down all useful and relevant hashtags while you’re researching, organised by both topic and size/popularity. Take care of this document. Your personalised library of hashtags will become invaluable! Serious about growing your presence on Instagram? 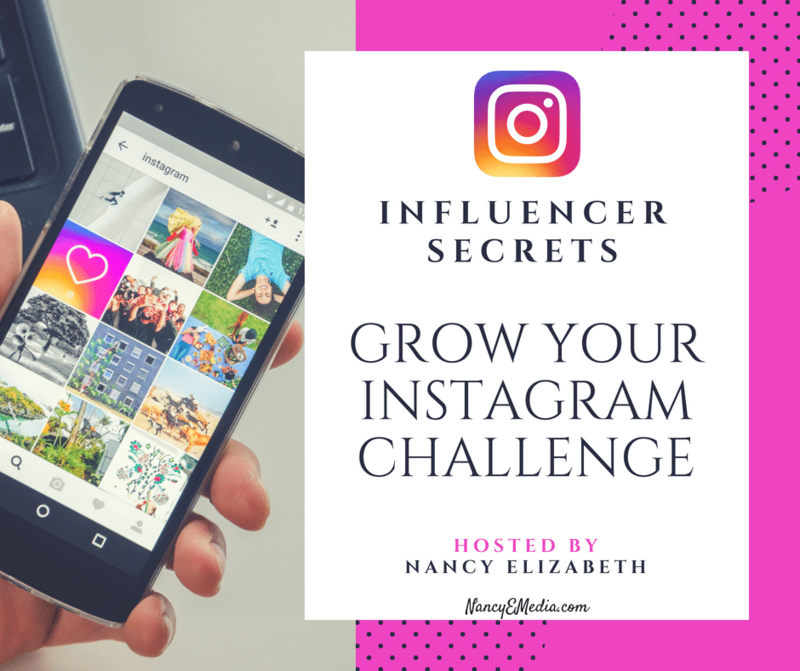 Be sure to sign up for my “Grow Your Instagram” challenge where I take you through building a solid account and strategy from start to finish. If you’ve been following me for a while, you probably know I’m super keen on brainstorms and braindumps. Why? I think amazing things can come out of word associations, thought chains and simple free thinking without judgment or worry. So with that in mind, I want you to close your eyes and picture your ideal client, customer or follower. If you’ve done any business training at all, you’ll probably already know exactly who that person is. I mean, it’s in everyone’s Business 101 course. But just incase you’re new to this (in which case, make yourself at home! ), you should have profiled your ideal client the same way those criminal profilers build a picture of the kind of serial killer they’re chasing. But right now, we want to focus on what they like and look for. What do they spend their time on Instagram looking at? Start looking up these people/topics/places on Instagram and see what phrases are popping up! 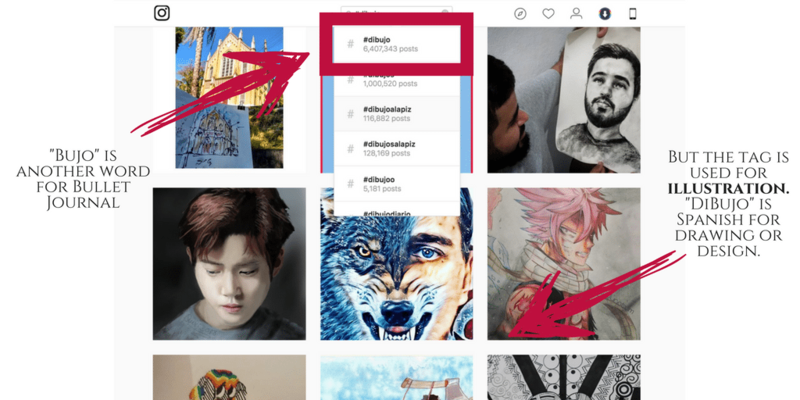 Do your research on a desktop computer – not only does this make updating your HashDoc super easy, Instagram shows you suggested hashtags based on your search AND their popularity. Win-Win! 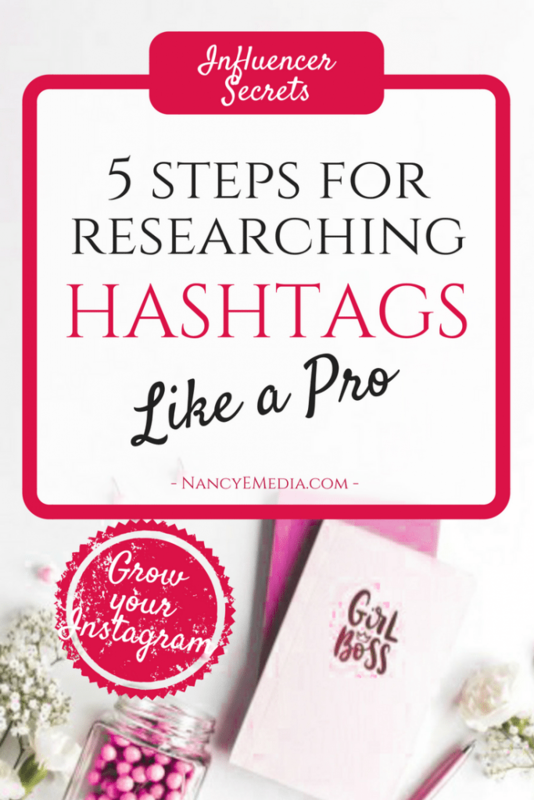 After step one, you’ll start to have a few anchor tags – these are just hashtags that are perfect for your niche that you’re likely to use all the time. Plug a few of these into DisplayPurposes.com, a completely free hashtag research tool that searches your anchor tag and calculates what other hashtags are commonly used with it. For example, when I plug in #fashion, it gives me hashtags such as #whatiwore and #lookoftheday – hashtags I might not have otherwise found during my brainstorm but that are being used by Instagrammers in that niche. The site says it automatically filters out banned or spammy hashtags, but you should always check for yourself. Now you’ve just got a whole new set of leads to follow! Remember to note down your favourites! There’s only one real way to check for banned hashtags, and that’s to look them up. If you come across one, make sure to leave it off your HashDoc (or start a list of “currently banned” hashtags). It’s really important you don’t use these in your posts, as Instagram will block your entire post, and sometimes your profile, from being seen by others. 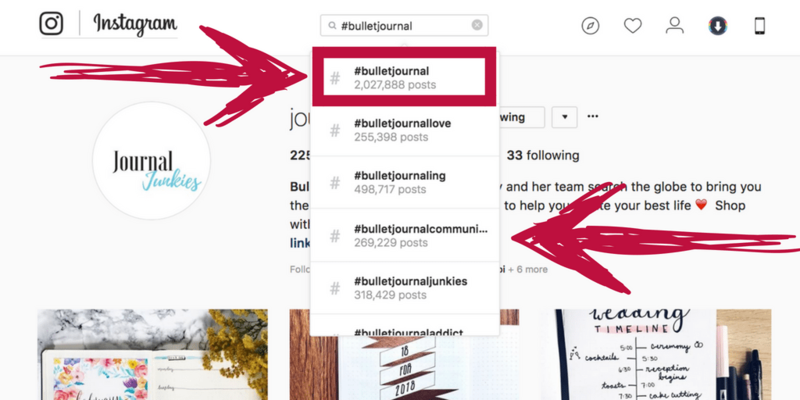 Your “anchor tags” probably have quite a large number of posts, but this also means the top 9 in these categories must be doing something right to get themselves on there. The top 9 posts are chosen by velocity of engagement – so not only those with the most likes and comments, but those with enough likes and comments in a short period of time can get themselves up there! That’s why you’ll see some with 1000 likes next to some with only 30. They’ve gained those 30 in a matter of minutes (or seconds). 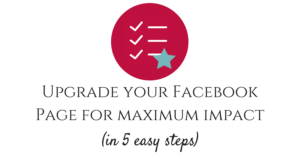 This is really important as you want engaging posts – so study these high-velocity posts carefully. Research and note down all their hashtags in your HashDoc! Always look up every hashtag you consider using. While you may be tempted just to steal other’s hashtag sets, you should always double check the hashtags are actually relevant. The above example shows how I may assume #dibujo is perfect for my Bullet Journal account, but it’s actually Spanish for illustration. As you can see, there’s not a bullet journal in sight! I’d be wasting one of my valuable hashtags and come across as being out of touch if I used it. You don’t need to reinvent the wheel – chances are there are already people in your niche with a nice following and a great hashtag strategy. What content are they posting, when? And, more importantly, what hashtags are they using? You’re likely to find some “communities” through this. Tap into them – if you’re researching right, these communities will be your ideal customers. NOTE: Don’t just look for the accounts with the most followers, but look at the ones with high engagement! 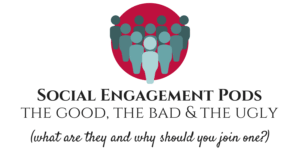 The best sign of a good page, strategy and, ultimately influence, is the engagement. How many likes and comments are they getting? You’re building yourself a great resource with your HashDoc, but you should be periodically reviewing and editing it. A Hashtag’s value can and does change – they might grow too big or fall out of style. 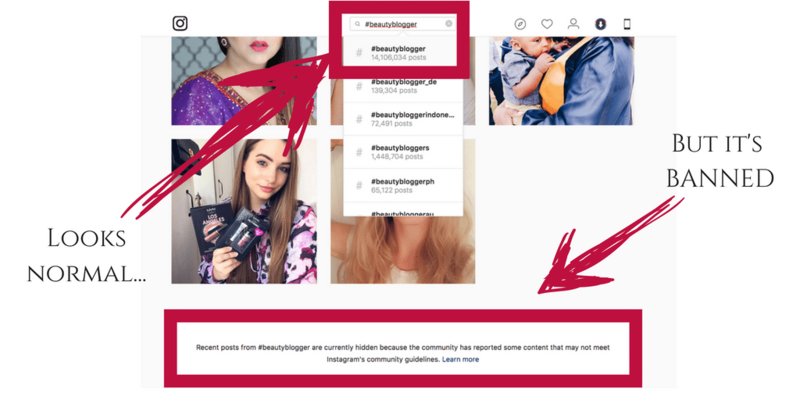 Instagram might have banned them or a new community might have hijacked them. 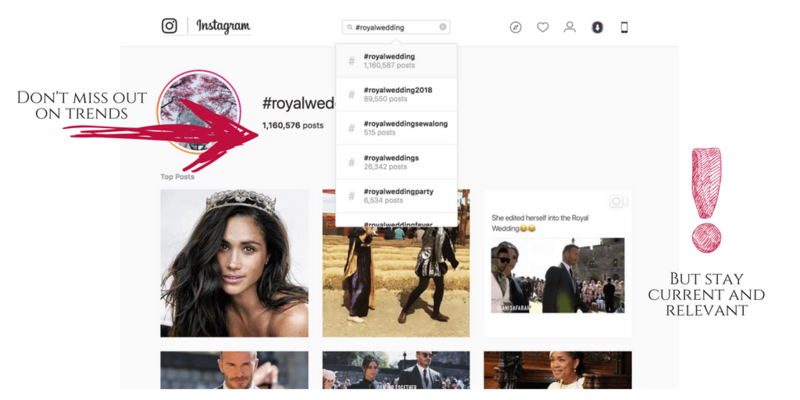 There are also a lot of opportunities with Hashtags with short lifespans based on events – #royalwedding #laurel or #watergate might be the perfect way to show you’re in the know and get your posts infront of a lot of people. Keep your HashDoc up to date! Find some accounts that you’d describe as your ideal followers – maybe they’re individuals, businesses or brands. The more authentic the better (so seek out Betty Sue from down the road – not Kim Kardashian). Follow them. Like, actually click that “follow” button and opt to see their posts on your feed. 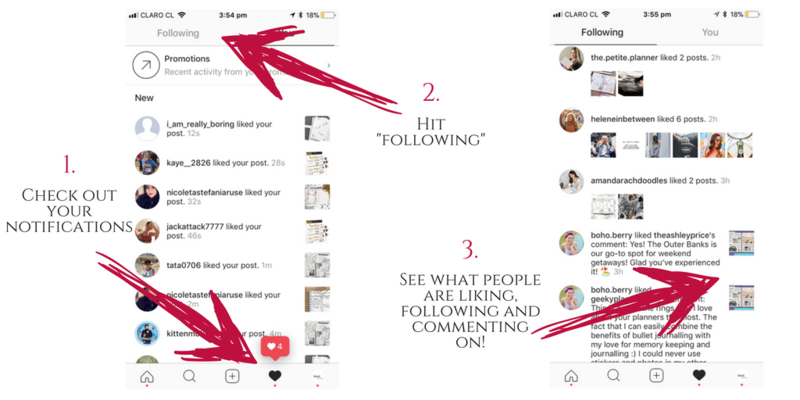 If you use Instagram a lot, you probably already know the app tells you what other people are liking and commenting on. If not, go to the app on your mobile device (you have to be on mobile for this one), and go to your notifications and hit “following” at the top of the screen. You can see exactly what your ideal followers are already liking and commenting on. 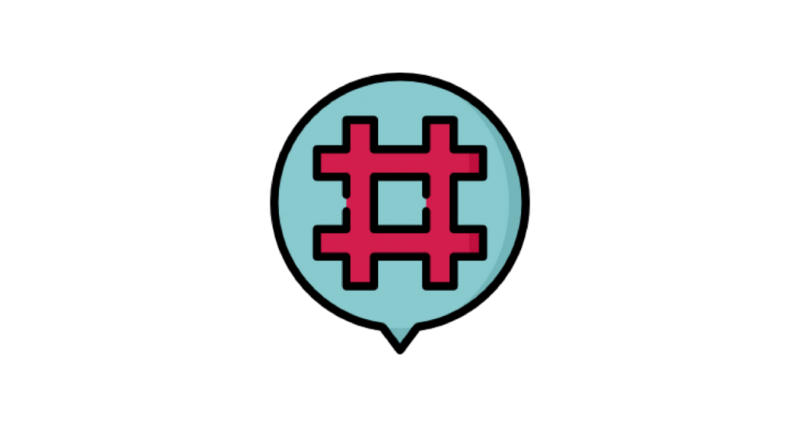 Check out those posts, stalk the hashtags and add them to your HashDoc! If this all seems a bit of a long-winded process, that’s because it is. I always get frustrated when people think social marketing should be easy – it’s not. Otherwise, everyone would be an influencer. But with a good attitude and a fair amount of work, you can make an impact on your ideal customers and get them to fall in love with you and your brand. You just need to put in the work to find them. So keep your HashDoc on hand to update and edit as necessary – you’ll be using it for all your future posts! 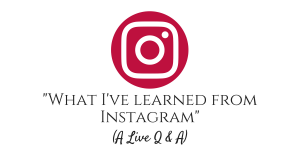 Challenge yourself and join me as I take you through growing your Instagram account step-by-step. This entry was posted in Blog, Instagram and tagged hashtag research, instagram.